What is the SADA Seal of Approval? SADA Seal of Approval (SOA) is issued by the SADA Seal of Approval Panel (SOA Panel) and indicates the acceptance of a product, following considerations of an application in accordance with this programme, as being generally safe and of benefit when used by those for whom it is indicated in accordance with the applicant’s recommendations and under reasonably foreseeable conditions of use. It also implies that the claims made by the applicant are justified and based on sound evidence. Where products are subject to a Statutory Scheme, any assessment of an application will take into account findings relating to safety, quality or efficacy made under such a regulatory scheme. A product in this programme refers to “a unique product formulation or design or a group of product formulations or designs produced by the same applicant which, in the opinion of the SOA Panel, do not differ materially”. The Seal of Approval Panel (‘SOA Panel’) formed by SADA will approve products in defined categories. 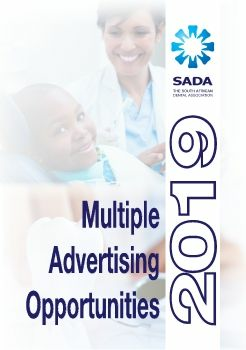 The SAO Panel also determines the safety, quality and efficacy as well as disseminates information on products, materials and equipment that are offered to the public or the profession and further critically evaluate statements of efficacy and advertising claims. to improve the quality of information available to users regarding oral health care issues.